There are other kayak makers such as Innovex that make kayaks with clear panels. They don't have the same "wow" effect as the completely clear canoes & kayaks sold by other companies, but they are more durable. The panels can also be replaced. The biggest problem with kayaks that have viewing panels instead of being completely clear, is that often times, what you want to see is not beneath the viewing panel. 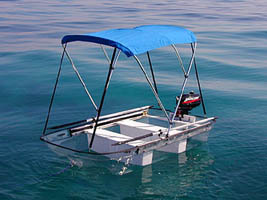 There was also a company that for a few years produced what they called the "Sea Shell Dingy". 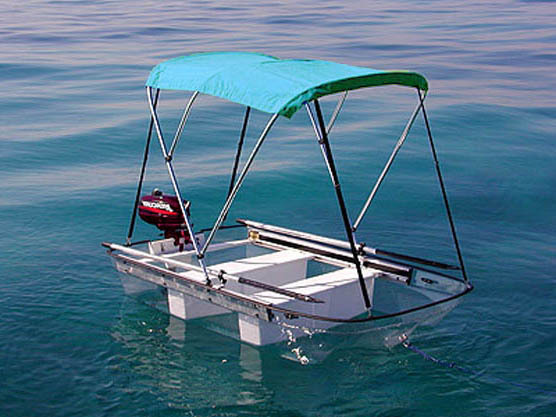 This clear boat could handle a 4 horsepower motor and also had a canopy.